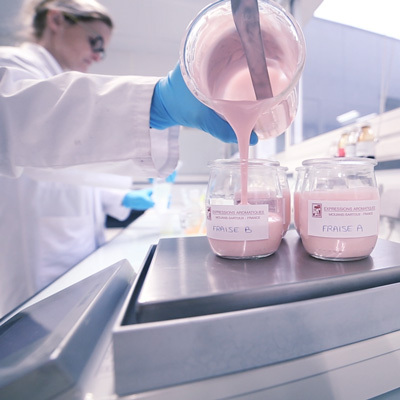 On a daily basis, Vincent Carpentier and his team of flavourists improve, modify, adapt and design new flavours suited to the new market trends and specific customers’ requests. 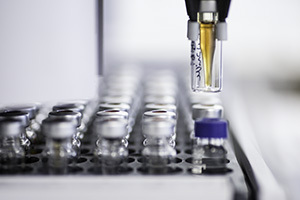 Our R&D laboratories are well endowed with chromatography and spectrometry materials, soxlhet, reactors, spectro-photometer, …which allow us to carry out different studies & analysis on new raw materials and flavours. 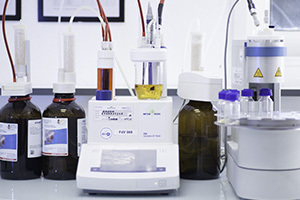 The pilot homogenizer and spray dryer are used for testing and validating new flavour formulations. 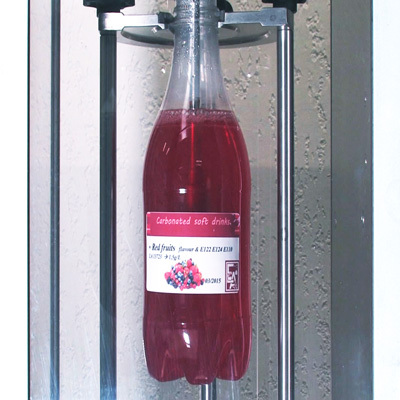 Being classified "ST2", our pilot spray dryer allows us to work with concentrated key base. 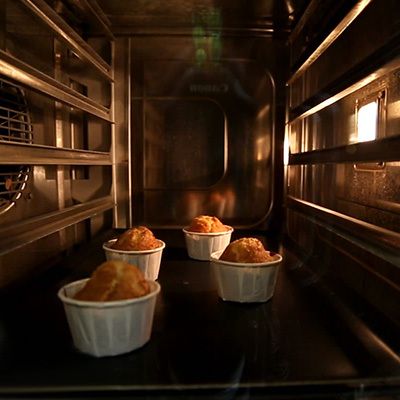 We will therefore produce with our new coming industrial spray dryer "ST2", stronger and highly concentrated spray dried flavours. 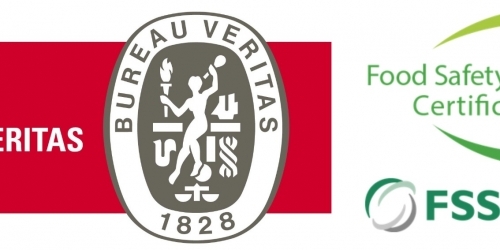 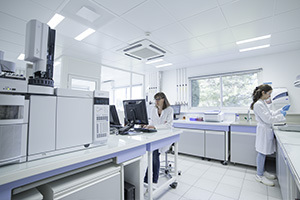 Regarding liquid flavours developments, the flavourist ‘s laboratory trials are immediately processed into the Roxane weighing robot (high accuracy dispensing automated systems), for evaluation and validation before registration in our flavour library. 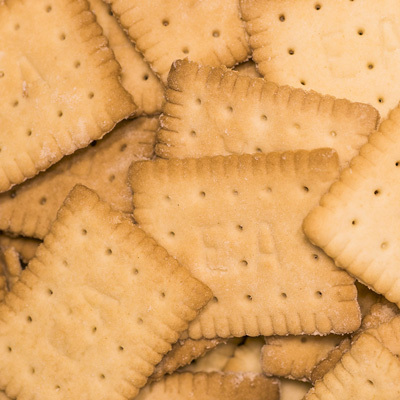 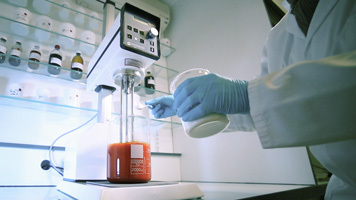 Regular and active technology intelligence carried out by our flavourists allows them the use and knowledge of new raw materials, techniques and processes. 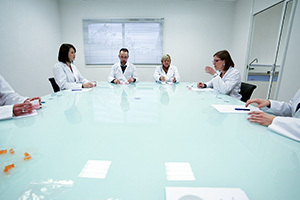 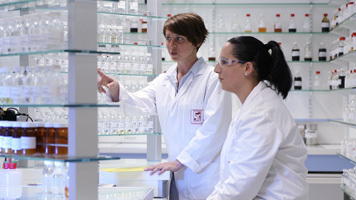 At Expressions Aromatiques, fundamental research and applied research are jointly used in the R&D teamwork. 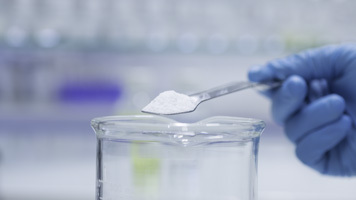 This is how, for example, after 4 years of investigation and tests, we were able to register a patent for a new process of encapsulation by extrusion. 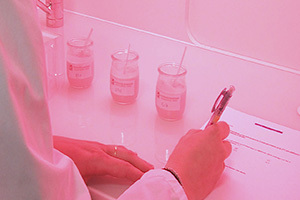 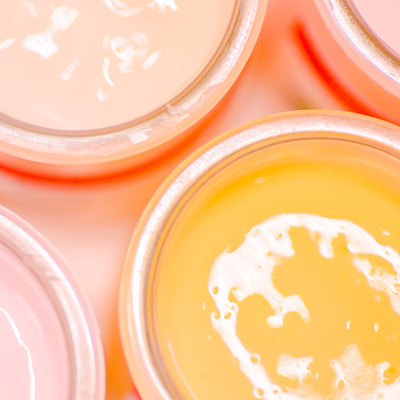 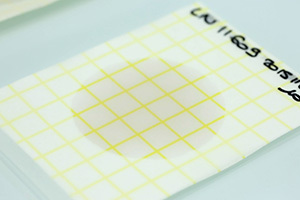 In order to avert any risk of contamination and guarantee the quality of the finished product, we apply a systematic approach to quality control at every stage of the manufacturing process; from checks on raw materials, through to semi-finished goods (bases, solutions and key bases) right up until the finished product. 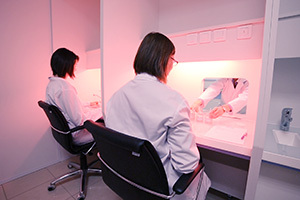 In our new laboratories we use standardised tasting booths to guarantee a neutral atmosphere and environment, thus allowing our sensory evaluators to test our flavours and products in the most optimal conditions. 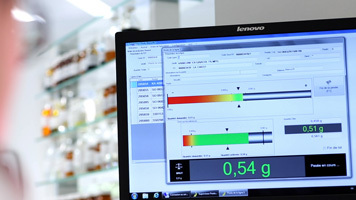 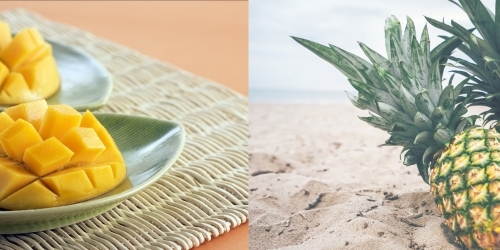 Flavours are evaluated and tested in both sweet and savoury applications, in realistic conditions. 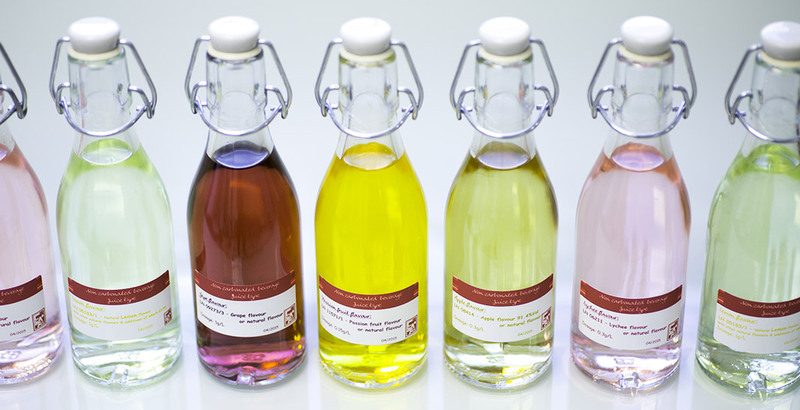 New recipes are created, developed and improved every day, allowing us to try out our various flavouring creations in a host of different ways. 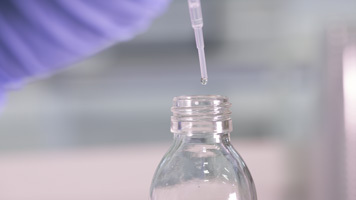 Our teams operate a highly responsive preparation and dispatch system, guaranteeing you professional quality product samples delivered quickly and securely. 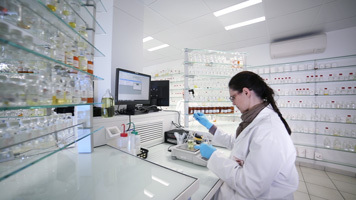 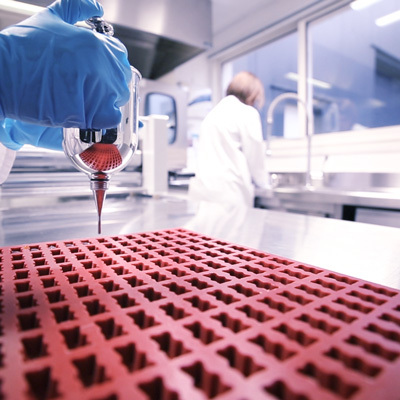 In 2014, an investment of six million euros allowed us to build a new facility, as well as to renovate and expand our Research and Development laboratories. 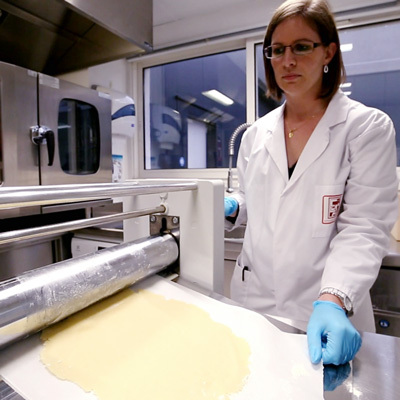 In addition, Expressions Aromatiques acquired a new ‘Roxane’ fully-automated weighing robot. 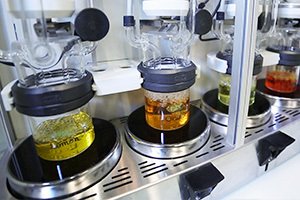 As a result of years of research and analysis, Expressions Aromatiques has recently filed for a patent on a new manufacturing technique in which flavours are encapsulated via extrusion.